Two Top Run-built Subaru WRX STI TCR cars will take part in the TCR Europe's Monza event, with support from Race Republic. One will be run by NOS Racing and driven by double Abarth Trophy champion Cosimo Barberini, who is currently on his way for clinching a third consecutive title. Barberini's previous experience with TCR cars dates back to last year, when he appeared in a few events of TCR Italy in a NOS Racing SEAT León and then drove a V-Action Racing Alfa Romeo Giulietta in the TCR Germany finale at Hockenheim. Roberto Russo will drive the second Subaru entered by Top Run Motorsport itself. 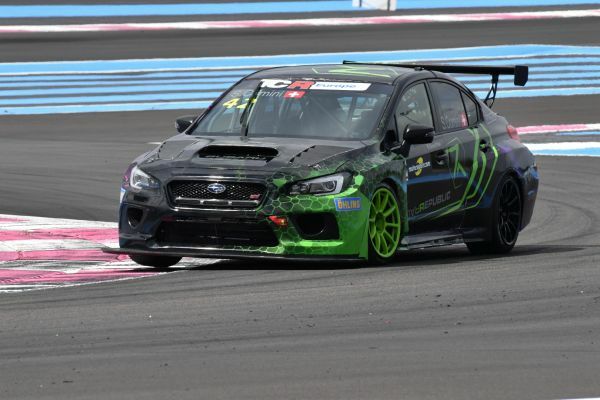 The only previous apperance of a Subaru in the series was at Le Castellet for the season's opener when the Top Run Motorsport car was driven by Stefano Comini. Andrew Kim won the first race in the history of TCR Korea. TCR Germany visits the Netherlands, as Zandvoort hosts the fifth event of the season. TCR Scandinavia will race at Karlskoga for rounds 9 and 10.